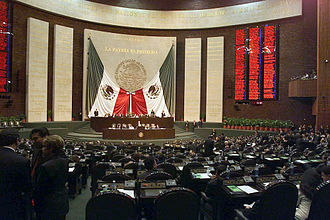 The Chamber of Deputies is the lower house of the Congress of the Union, the bicameral legislature of Mexico. The structure and responsibilities of both chambers of Congress are defined in Articles 50 to 70 of the current constitution, the Chamber of Deputies is composed of one federal representative for every 200,000 citizens. Of these,300 majority deputies are elected by plurality from single-member districts. The remaining 200 party deputies are assigned through rules of proportional representation and these seats are not tied to districts, they are allocated to parties based on each partys share of the national vote. The 200 party deputies are intended to counterbalance the sectional interests of the district-based representatives, substitutes are elected at the same time as each deputy, so special elections are rare. 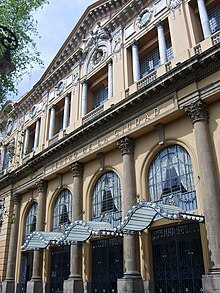 From 1917 to 2015, deputies were barred from serving consecutive terms in accordance with the Constitutions ban on immediate reelection to the legislature, the Chamber of Deputies was one of the few legislative bodies in the world that was completely renewed at an election. Iztacalco is one of the 16 delegaciones into which Mexicos Federal District is divided. 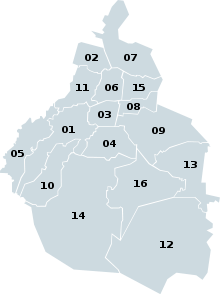 It is located in the center-east of the district and is the smallest of the city’s boroughs. 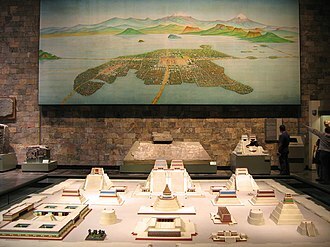 The area’s history began in 1309 when the island of Iztacalco, in what was Lake Texcoco, was settled in 1309 by the Mexica who would found Tenochtitlan, according to the Codex Xolotl. The island community would remain small and isolated through the colonial period, the area was transformed into a maze of small communities, artificial islands called chinampas and solid farmland divided by canals up until the first half of the 20th century. 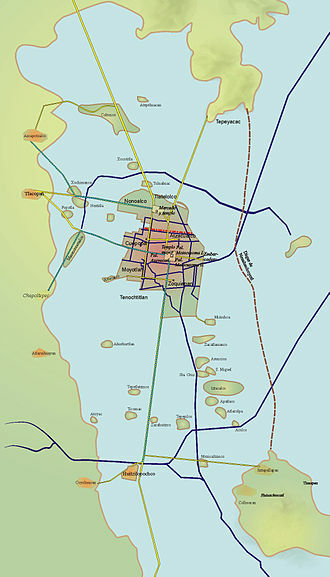 Politically, the area has been reorganized several times, with the modern borough coming into existence in 1929, all of the canals and farmland are dried out and urbanized as the most densely populated borough and the second most industrialized. Although the borough is urbanized, there are still traces of the area’s rural past, especially in the historic center. Most of these lie along the Calzada de la Viga and this area was designated as a Barrio Mágico by the city in 2011. The Barrio de Santa Cru contains some of the oldest structures of the entire borough, one of these is the Capilla de Santa Cruz is located on a small street called Anador Aztlán. It has a Salomonic main portal with vegetative designs and it is only one level topped with a vaulted niche. Inside, there is a silver leaf main altar with a wood cross covered in silver and decorated with the image of the Passion of Christ. The chapel was declared a monument in 1972. The Ermita de la Cruz is on Calle Agricultures and it was constructed by the Franciscans in the early 16th century and listed as a historic monument in 1955. 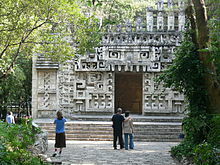 The interior contains a crucified Christ done in pea cane paste and it has an oil painting of the Virgin of Guadalupe. This barrio contains a number of houses and other structures from the 18th and 19th centuries, the Barrio de la Asunción next door is home to the most important plaza and church of the borough. The plaza is called either Plaza Miguel Hidalgo or Plaza San Matias and it is of two levels with a number of trees and has a traditional kiosk in the center. 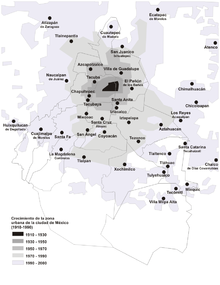 Cuajimalpa de Morelos is one of the 16 boroughs of Mexico City. 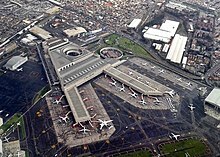 It is located on the west side of the Federal District in the Sierra de las Cruces mountains which separate Mexico City from the State of Mexico, the borough is named after the former rural town of Cuajimalpa, which has since been absorbed by urban sprawl. The borough is home to the Desierto de los Leones National Park, the proper name of the borough is Cuajimalpa de Morelos. The borough was named after the prominent community and former municipality of San Pedro Cuajimalpa which remains the seat of local government, “Cuajimalpa” is derived from the Nahuatl “Cuauhximalpan” which meant place of sawmills. The appendage of “de Morelos” was added in 1970 to honor José María Morelos, in 1342 the Tepanecas established themselves in the area, controlling the forests for about 100 years from their capital in Azcapotzalco. When the Tepanecas were overthrown by the Aztec Triple Alliance in the mid 15th century, during the Spanish conquest, Hernán Cortés subdued settlements in the area such as Santa Rosa, Santa Lucía, Cuauhximalpan and Acopilco to secure the roads leading to the Toluca Valley. 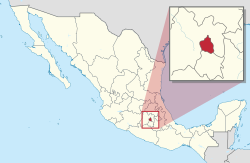 In 1534, Cortés took personal control of lands in the area, calling it San Pedro Cuauhximalpa and established such as San Lorenzo Acopilco, San Mateo Tlaltenango. In the 17th century the Carmelites founded a hermitage and monastery called Desierto de los Leones, today a museum, at this time, the indigenous population of the area recovered enough that there were efforts to reclaim lost territory and government. To this end a type of codex called “techialoayan” were created to document the history of indigenous communities to make legal claims, one of the most important of this is the Techialoyan Codex of Cuajimalpa. 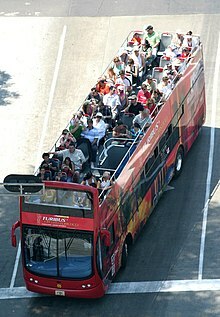 It describes a meeting of authorities to confirm the extension. Written in Nahuatl, it remained a legal document until 1865. Today the original document is part of the Mexican Federal Archives, in 1997, the document was named as part of the “Memory of the World” by UNESCO. The area was important as a way station, providing lodging. In 1884, a line was constructed through the same area. El Ángel was built in 1910 during the presidency of Porfirio Díaz by architect Antonio Rivas Mercado, to commemorate the centennial of the beginning of Mexicos War of Independence. In years it was made into a mausoleum for the most important heroes of that war and it is one of the most recognizable landmarks in Mexico City, and it has become a focal point for both celebration or protest. It resembles the July Column in Paris and the Berlin Victory Column in Berlin, the base of the column is quadrangular with each vertex featuring a bronze sculpture symbolizing law, war and peace. Originally there were nine steps leading to the base, but due to the sinking of the ground, on the main face of the base facing downtown Mexico City, there is an inscription reading La Nación a los Héroes de la Independencia. In front of this inscription is a statue of a giant lion led by a child, representing strength. Next to the column there is a group of statues of some of the heroes of the War of Independence. The column itself is 36 metres high, the structure is made of steel covered with quarried stone decorated with garlands and rings with the names of Independence figures. Inside the column is a two-hundred step staircase which leads to a viewpoint above the capital, the Corinthian-style capital is adorned by four eagles with extended wings from the Mexican coat of arms used at the time. Crowning the column there is a 6.7 metres statue by Enrique Alciati of Nike and it is made of bronze, covered with 24k gold and weighs 7 tons. In her right hand the Angel, as it is known, holds a laurel crown above Miguel Hidalgos head, symbolizing Victory, while in her left she holds a broken chain. Construction of El Ángel was ordered in 1900 by President Porfirio Díaz, the commission determined that the foundations of the monument were poorly planned, so it was decided to demolish the structure. All the sculptures were made by Italian artist Enrique Alciati, one of the faces in the doors is of one of Rivas Mercado´s daughter, Antonieta. 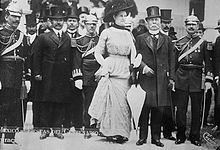 The monument was completed in time for the festivities to commemorate the first hundred years of Mexican Independence in 1910, the opening ceremony was attended by President Díaz and several foreign dignitaries. The main speaker at the event was Mexican poet Salvador Díaz Mirón, an eternal flame honoring these heroes was installed in the base of the column at the order of President Emilio Portes Gil in 1929. The monument suffered some damage during an earthquake on July 28,1957 when the sculpture of the Winged Victory fell to the ground, sculptor José Fernández Urbina was in charge of the restoration, which lasted more than a year. The monument was reopened on September 16,1958 and it survived the devastating earthquake of September 19,1985 with some damage to the staircases and the reliefs, but none to the Angel. In 1925, during the administration of Plutarco Elías Calles, the remains of the following Heroes of the Mexican Independence were interred in a mausoleum under the base of the monument. The National Palace is the seat of the federal executive in Mexico. It is located on Mexico Citys main square, the Plaza de la Constitución and this site has been a palace for the ruling class of Mexico since the Aztec empire, and much of the current palaces building materials are from the original one that belonged to Moctezuma II. 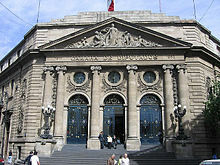 Used and classified as a Government Building, the National Palace, with its red tezontle facade, fills the entire east side of the Zócalo and it is home to some of the offices of both the Federal Treasury and the National Archives. The facade is bordered on the north and south by two towers and include three main doorways, each of which lead to a different part of the building, the southern door leads to the Patio of Honor and presidential offices. The northern door is known as the Mariana Door, named in honor of Mariano Arista who had it constructed in 1850, the area next to this door used to be the old Court Prison, with courtrooms and torture chambers. It is now occupied by the Finance Ministry and it contains the Treasury Room, constructed by architects Manuel Ortiz Monasterio and Vicente Mendiola. The iron and bronze door is the work of Augusto Petriccioli, part of this ceremony includes ringing the bell that hangs above the balcony. This bell is the one that Father Miguel Hidalgo rang to call for rebellion against Spain. It originally hung in the church of Dolores Hidalgo, Guanajuato, in the niche containing the bell, there is the Mexican coat of arms. On each side there is an Aztec eagle knight and his Spanish counterpart and these were sculpted by Manuel Centurion and symbolize the synthesis of Mexican culture and Spanish culture. The central door leads to the patio which is surrounded by Baroque arches. Only the balustrade of this area has been remodeled, conserving the murals by Diego Rivera that adorn the main stairwell, in the stairwell is a mural depicting the The History of Mexico from 1521 to 1930, and covers an area of 450 m2. 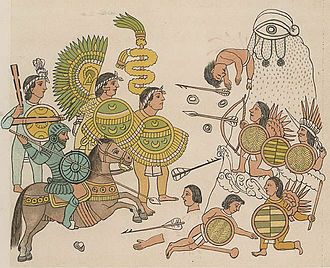 These murals were painted between 1929 and 1935, jointly titled The Epic of the Mexican People, the work is divided like a triptych with each being somewhat autonomous. 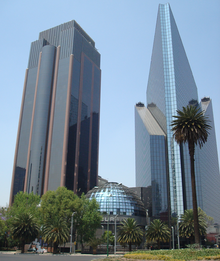 Polanco is a famous and upscale district in Mexico City. The neighborhood is populated with expensive offices, museums, luxurious stores and shopping malls, some embassies are located in Polanco. Its Avenida Presidente Masaryk is the street and the one with the most upscale boutiques in Latin America. In a plane made by Francisco Antonio Guerrero y Torres and dated 1784 and this hacienda sits on land donated in the sixteenth century to Hernán Cortés by the King of Spain, under the jurisdiction of Tacuba. At the beginning of the times, parts of this land were occupied for planting mulberry trees for breeding silkworms. The hull of the Hacienda as currently known dates from the eighteenth century, extension lands belonging to the estate began to be divided in the late 1920s. The first area to be built is now called Polanco Reforma and lies just north of Paseo de la Reforma, in those days, there were only mansions surrounded by gardens and tree lined streets. By the 60s the first department store arrived in the neighborhood, the 1985 earthquake reshaped the city layout, and Polanco was no exception, embassies and corporate business slowly moved from Zona Rosa and found a great new home in Polanco. 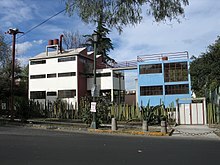 Big houses were torn down and replaced with new buildings, the old inhabitants typically moved to neighborhoods such as Bosques de las Lomas and Lomas de Tecamachalco. Today Polanco is facing a challenge, land prices are some of the most expensive in the city, as zoning rules forbid skyscrapers in the area. Ruben Dario avenue, facing Chapultepec Park, and Campos Eliseos are two of the most expensive streets in Mexico City, with apartments ranging up to $15 million. Polanco consists of five officially recognized colonias, called Polanco I Sección, Polanco II Sección, Polanco III Sección, Polanco IV Sección, Nuevo Polanco is an area bordering Polanco to the north across Avenida Ejercito Nacional. It contains the Antara Polanco and Plaza Carso shopping malls, two new museums, and many new residential towers. Polanco is nowadays to the city what Zona Rosa was in the 1960s, there are several residential developments currently underway in the area, in hopes that this will encourage an influx of new inhabitants. Nivel cero de la Ciudad de México, topographic monument 1875, to mark the path of the Paseo. The cathedral as seen from Madero street. 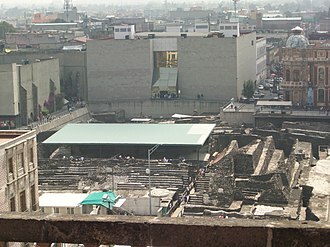 Back section of cathedral facing República de Guatemala street. 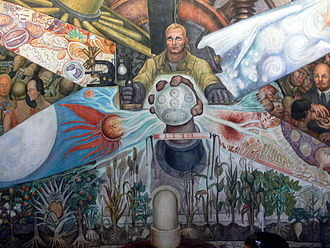 Liberación (Liberation) or La humanidad se libera de la miseria (Humanity is released from Misery), 1963, Jorge González Camarena. Vasco de Quiroga Av. in Álvaro Obregón, with the former icon of the delegación.